Marbella, on the Costa del Sol, is undoubtedly one of the most demanded Spanish destinations in the world. Beaches are very well-known due to the the glamour of their visitors, but we mustn’t forget that the city has many centuries of history and, before being a world tourist destination, this enchanting area was a typical Andalusian town. So, if you are staying in one of the hotels or plan to visit on your next vacation, we recommend you to learn more about this aspect of the city, especially the old town. Marbella currently sits on a unique natural location, although it has suffered from mass construction over the last decades. At the foot of the Sierra Blanca, and facing one of the most beautiful bays of the peninsula, rises the fascinating old quarter, a typical urban layout of Andalusia with whitewashed walls and façades decorated with barred windows. This beautiful image is combined with orange trees and geraniums planted in every corner. The nearest airport to Marbella is the Malaga-Costa del Sol airport, located about 50 km away. This airport provides weekly connections with 17 Spanish cities, over 60 around Europe and with many other destinations worldwide like America, Asia and Africa. The other alternative for those who plan to travel by air is the airport in Gibraltar, located about 82 kilometres away from Marbella. It has little air traffic and offers daily flights to and from London, Morocco and other African cities. The Malaga-Costa del Sol International Airport is eight kilometres away from Malaga city, the capital of the Costa del Sol. The terminals are easily accessible, for both private vehicles and for the public transport that connects the airport with Malaga and the rest of the main destinations in the province. The journey from Malaga airport to Marbella only takes 40 minutes by car, as they have built a new highway (AP-7 toll road) that bypasses the coastal highway A-7 / N-340 and takes you directly to Marbella. You can also get to Marbella from the Gibraltar airport, but it takes a bit longer (approx. 80 minutes) and also requires a little extra time to cross the border, as there are usually long queues. In the heart of Marbella’s historical centre is the charming Plaza de Los Naranjos, a Renaissance square surrounded by noble buildings of the old quarter, the former ‘Casa del Corregidor’ from the seventeenth century, and the city’s town hall from the sixteenth century. Another spot to visit is the Church Square, where the sixteenth century church of the Incarnation stands. At the same location there are several towers that were originally part of an Arab fortress that protected the city. These towers belong to the ninth century, at the very least. Over a thousand years old. However, Marbella´s history goes back even further as we can see in the many archaeological sites found in the area, such as the early Christian Basilica ‘Vega del Mar’, the Guadalmina baths and the Roman villa of Rio Verde, Marbella’s first urban layout. Beyond the shows and activities at the big hotels and resorts and the glittering night life of Puerto Banus, Marbella also has a very interesting cultural offer. For example, the Contemporary Spanish Engraving Museum, which is the largest in Spain in this genre. It’s located in the Bazan Hospital, a building from the sixteenth century, and hosts a large collection of prints from the last two centuries, by artists such as Miro, Picasso and Dali. Marbella has a wide variety of offers. We highly recommend you to discover and enjoy this lovely facet of Marbella, with its ancient streets and squares; there is nothing better than enjoying a coffee under the shade of an orange tree in bloom and pleasantly watch life pass by. You don´t have to be rich in Marbella to feel privileged. Marbella’s lovely old quarter, together with its marinas, the famous Puerto Banús and its excellent Golf courses have made of Marbella the internationally renowned Tourist Resort for wealthy and famous personalities it is today. 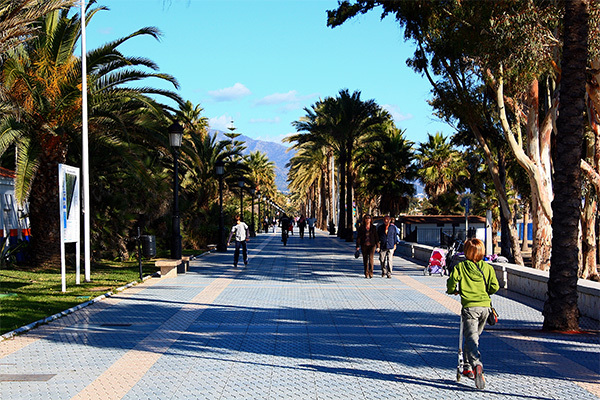 Marbella is protected by the Sierra Blanca mountains, where the microclimate causes an annual average temperature of 18 º C. and shiny sunny weather almost 365 days a year. Its stable population is quite small so it barely reaches the amount of 150,000 permanent inhabitants but, on the other hand, has a large influx of tourism that increases that number up to hundreds of thousands every year, especially in summer. Marbella has been properly positioned for the tourism with a very high purchasing power, so it’s pretty common to spot some of the most luxurious cars and yachts in the world. There is a wide range of activities to make your holidays in Marbella the best you’ve ever had. In this luxury resort you will witness the most expensive yachts, wealth and many famous people doing what they do the best, spending their cash like there’s no tomorrow. But you don’t have to be loaded to have fun on your holidays. Feel free to explore our Marbella hotels reviews if you are planning to visit the Costa del Sol or find cheap Marbella apartments for self catering. Visitors of Marbella will be able to enjoy all kinds of exclusive shopping malls, designer boutiques, arts and crafts, gift shops and luxurious interior design. Many of these shops can be found around the city centre so it’s a good excuse to explore Marbella's offer by strolling through the streets, where there are plenty of good cafés and restaurants. Marbella's major shopping area is concentrated in its two main streets, the Avenida Ricardo Soriano and the Avenida Ramon y Cajal , where some of the best shops, brands and top fashion boutiques are located. For more traditional shopping and local souvenir shops, head towards the Old Quarter of Marbella, where you'll find a great selection of art galleries, craft shops and gift ideas. 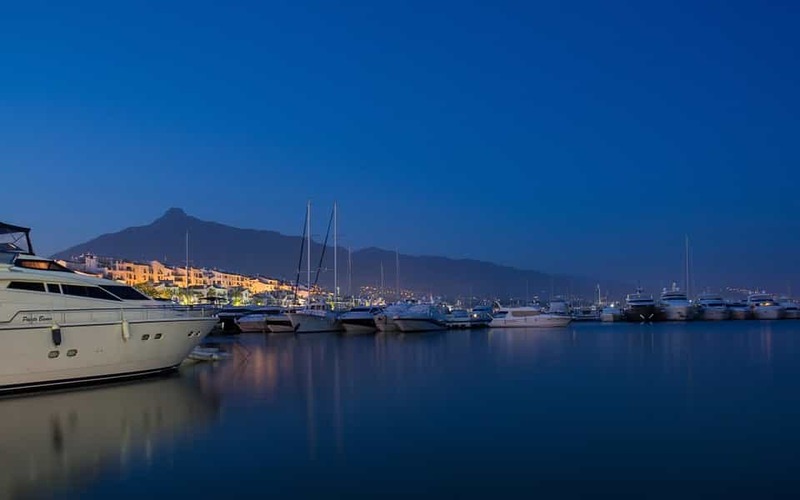 Luxurious boutiques and designer brands, as well as magnificent art and craft galleries, can be found along the leisure marina of Puerto Banus. Shopping in Marbella includes exclusive malls like Centro Comercial Benabola in Puerto Banús, with designer stores and fashion boutiques; the elegant shopping centre Marina Banús on the Avenida Ramón Areces; the famous El Corte Ingles with several floors packed with goods ranging from high-street fashion clothing and perfumes, to furniture and home ware, including a massive supermarket on the bottom floor. Every Saturday morning there’s a popular street market in Nueva Andalucia. Marbella´s glittering nightlife is quite spectacular and very different to the rest of the tourist resorts along the Costa el Sol. Start the evening with a pleasant walk along the dazzling Golden Mile, with many chic cafes, lively bars and international restaurants, or through Marbella’s charming Old Quarter with plenty tapas bars to choose from around its whitewashed back streets and squares. Both areas have a great, lively nightlife. In Puerto Banus you will find a wide range of top quality restaurants, bars and discos, as well as a casino and a cinema at the leisure marina. 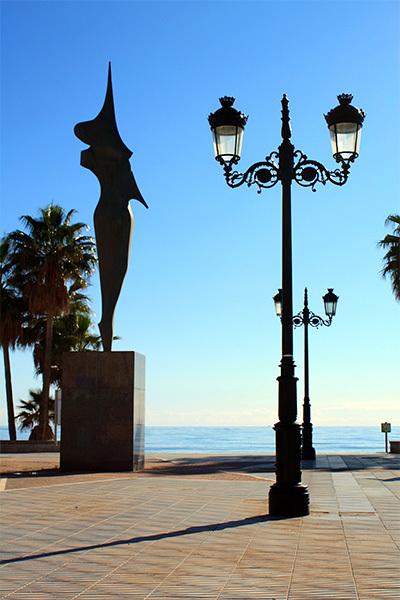 Puerto Banus is relatively quiet during the winter months but it’s buzzing with Marbella nightlife in peak season. Other interesting spots worth mentioning along the Golden Mile and in Puerto Banús are: the Buddha Beach, Charleys, Desvan, Dreamers Night Club, Glam, Linekers Bar, News Café, Olivia Valere, Polo House, Portside Bar, Seven, Studio 10 TIBU, Vanity Marbella, Lola Lounge, Oh Marbella and Mansion Club. Eating out properly in Marbella can be quite expensive. But not all Marbella restaurants are high-priced and luxurious. For example, the Marbella beach bars have a great price-quality relationship and are ideal to enjoy delicious fish and seafood while sitting out on their terraces, overlooking the Mediterranean sea and soaking up the sun. However, some of these beach bars do belong to some of these luxury hotels so watch out where you sit down as, in such case, prices could go up considerably. In these more informal beachside restaurants you can spot quite a few well-known faces who also like to enjoy a more relaxed atmosphere and the traditional local cuisine, as quality doesn’t always mean pricey. They are normally quite crowded during the summer and you often have to wait a while until you can get seated, which is why it’s not a bad idea to pop by the restaurant as soon as they open in the morning to book a table for lunchtime. Most of these beach bars (or ‘chiringuitos’ as the locals know them) turn into restaurants in the evenings when the sun goes down. More information about restaurants in Marbella. If you are interested in jobs in Marbella, you’ll be glad to know that normally this holiday resort offers you a wide range of possibilities to work. Although the summer season is the busiest time of the year for the tourism sector with its corresponding wave of vacancies ( as a waiter/waitress, bar work, house keeping, tourist guide, and/or anything related to the Hotel Industry in general), it’s not that hard to find a job during the rest of the year. The more languages you speak, the easier it will be for you to find a job, not only in Marbella but along the whole Costa del Sol. Marbella is located 54 km west from Malaga airport. Taking a bus from Malaga airport to Marbella may not be the best option if you have a lot of luggage;the bus has a main stop at the bus station in Marbella, and can take much longer to arrive that going by car. You cah check the schedule here. You can take a Taxi from Malaga airport to Marbella, with an aproximate cost of 50 Euro which is expensive if you think you can rent a car a whole week for a little more.. Currently there is no link by train to Marbella. Car hire at Malaga airport may be a nice and cheap option if you also plan to visit Malaga and Marbella surroundings. Transfers from Malaga airport to Marbella is a fast and confortable way if you don´t need to hire a car. Continue reading in how to get to Marbella ,it could be of help if you are looking for the road route, and if you still have questions or want to know how to go to Malaga airport from Marbella don´t hesitate in contacting us in the Malaga transportation forum. 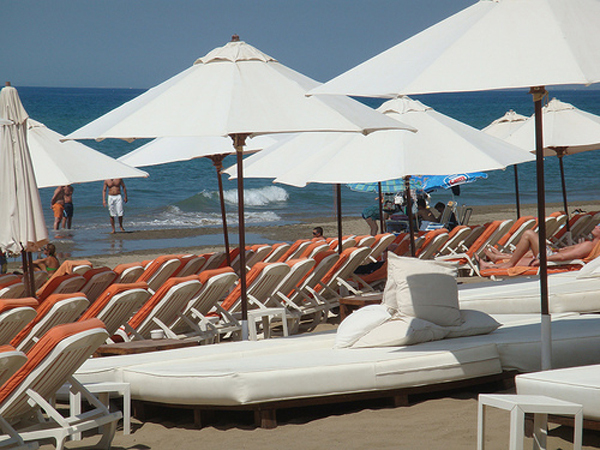 Rio Verde beach: Situated in Puerto Banus and has a length of 900 meters. small and cosy, yet lovely. Golden sand with some stony areas. It has many services like parking, hammocks, sunshades, toilets and bars. Puerto Banus beach: Situated in the port, with fine grey sand. It has hammocks, sunshades, showers, bus stop, bars, restaurants and you can practice several water sports. El Pinillo beach: This is an urban beach of about 2,500 metres long with relatively thick, grey sand. It’s usually quite a crowded beach and offers parking, toilets, sunshades and hammocks. La Fontanilla beach: This beach has golden sand, although it’s not very fine, and is about 900 meters long. It has parking, hammocks, parasols, toilets, bars and a bus stop. 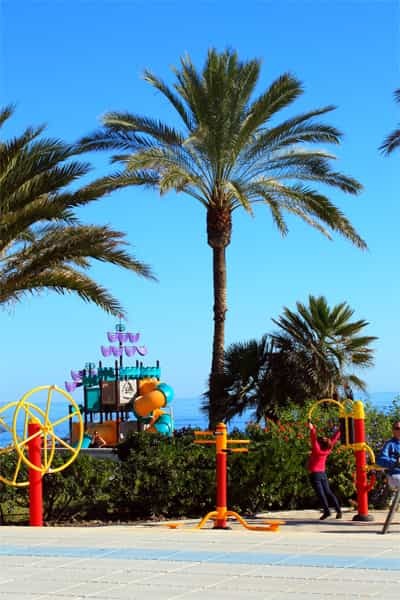 Nagüeles beach: Situated by the Marbella Club and has an area of about 2,500 meters long. Its sand is grey and not too thin. Some of the services available are parking, hammocks, parasols, kiosks and restaurants. 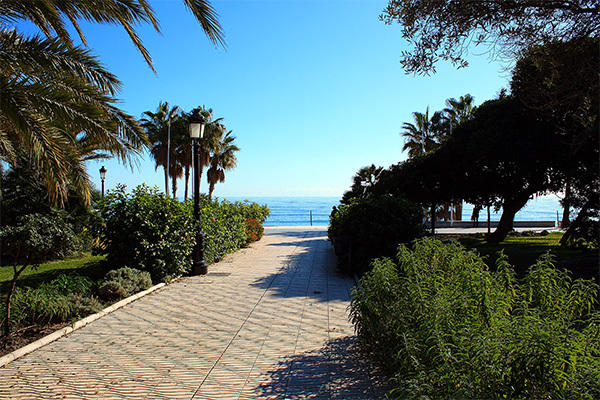 Los Monteros beach: Situated by the Hotel Los Monteros and is 2,000 metres long. It’s an urban beach with not thick grey sand and plenty of facilities such as parking, buses, toilets, hammocks, parasols, restaurants and kiosks. La Bajadilla beach: This beach is relatively small with only about 700 metres of thick grey sand and normally pretty packed. It has all kinds of facilities such as a bus stop, kiosks, hammocks, parasols, parking, toilets, water sports and restaurants. 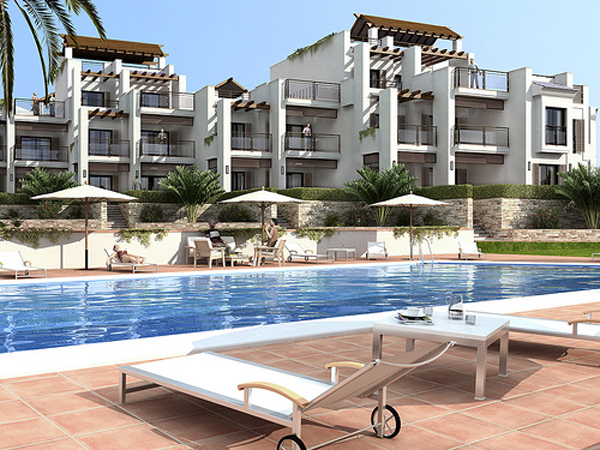 Guadalmina beach: Situated right next to the Guadalmina urbanization. 1,700 metres long, with thick grey sand and offers parking and a bus stop. Artola-Cabo Pino beach: This beach is 1.250 metres long with thin golden sand and nudist areas. Some of the services available are water sports, parking, a bus stop, toilets, restaurants, hammocks and parasols. San Pedro de Alcantara beach: This is one of the smallest beaches with no more than 400 metres of relatively thick grey sand. It has parking, water sports, kiosks, parasols and hammocks, among other services. The best way to reach these beaches is normally by car, unless it’s an urban beach near our hotel. The N-340 coastal road connects all the popular resorts along the Costa del Sol with Malaga airport where you can find an economy car rental in Malaga. 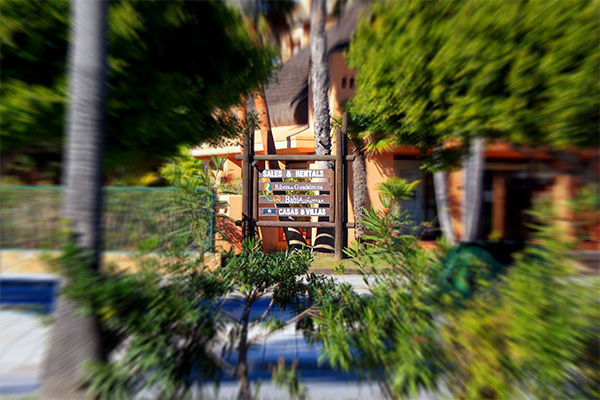 Pictures below are some of the latest images you can find in our Marbella pictures.